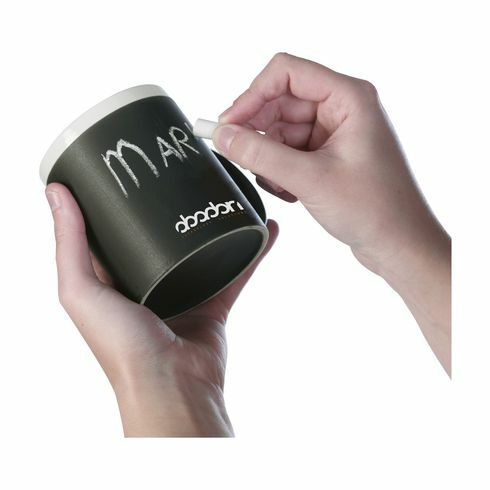 Popular ceramic mug with scribable chalkboard coating. Includes 2 sticks of chalk. Capacity 350 ml. Dishwasher safe. Each piece in a box.